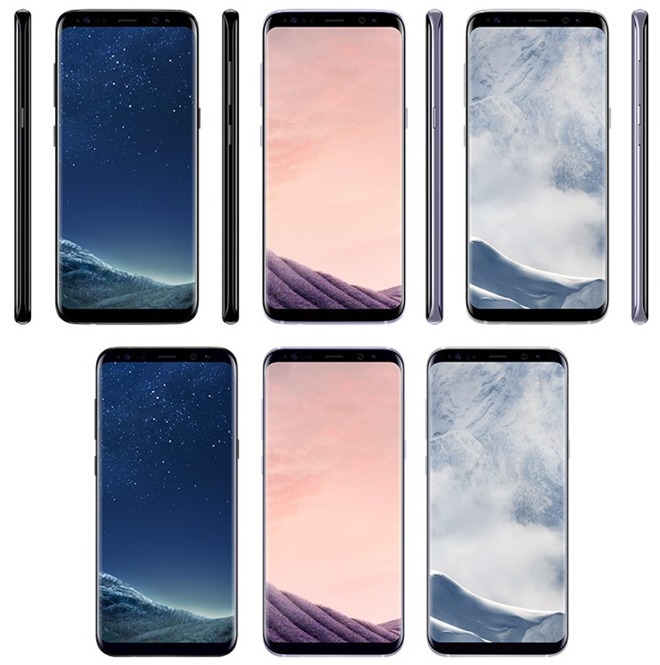 The S8 (top) and S8+ (bottom) in 'black sky,' 'orchid grey,' and 'arctic silver' colors. The S8 will start at 799 —$859 —while the S8+ will begin at 899, or $967, according to a Twitter post by Evan Blass. In practice U.S. prices may be lower, since European electronics are often marked up and/or include VAT (value-added tax). A 32-gigabyte iPhone 7, for instance, is $649 in the U.S. but 769 ($827) in France. Apple is typically expected to continue its current pricing with any "iPhone 7s" models, but multiple reports have claimed that the "iPhone 8" could cost upwards of $1,000. One outlet referred to it as the "iPhone Edition," hinting that it will be aimed at rich shoppers like the Apple Watch Edition. Samsung is due to announce the S8 line on March 29. The S8 will likely feature a 5.8-inch AMOLED display, while the S8+ should have an even bigger, 6.2-inch Quad HD+ (3200-by-1800 pixel) panel. Like the "iPhone 8," both products are rumored to omit a physical home button in favor of a virtual one. The devices should also share technologies like wireless charging, a 64-gigabyte baseline, and/or iris scanning. Indeed the "iPhone 8" is even believed to be getting its own 5.8-inch OLED display, with 0.7 of that dedicated to virtual buttons. The "7s" line is predicted to be an evolution of the iPhone 7, coming in similar 4.7- and 5.5-inch formats and using LCD rather than OLED. It should incorporate some "iPhone 8" features though, like a mix of wireless and faster cable charging.